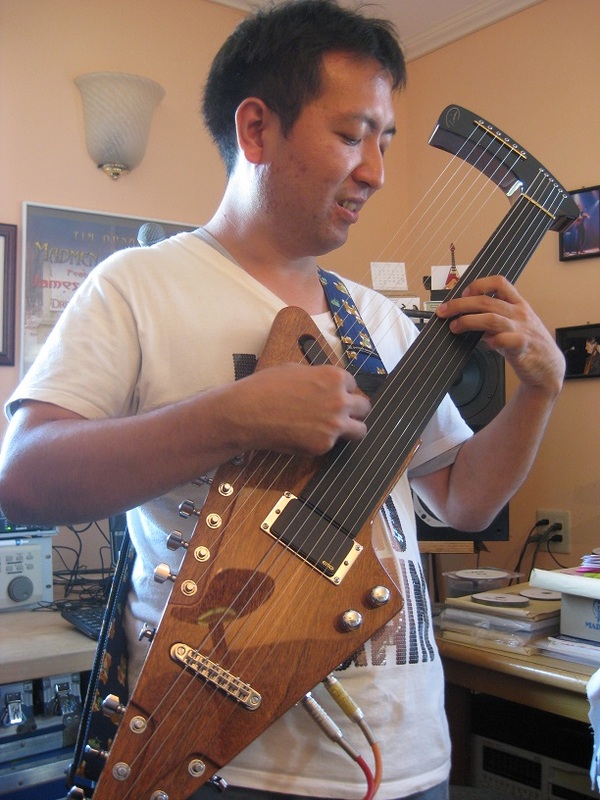 each dedicated to making new music on this limitless instrument, and go where no guitarist has gone before. 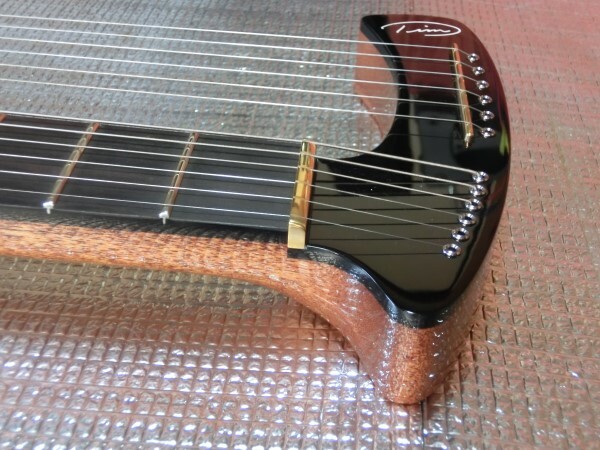 Thanks to these artists for their belief and input in the continued development of TD Signature Harp Guitars. 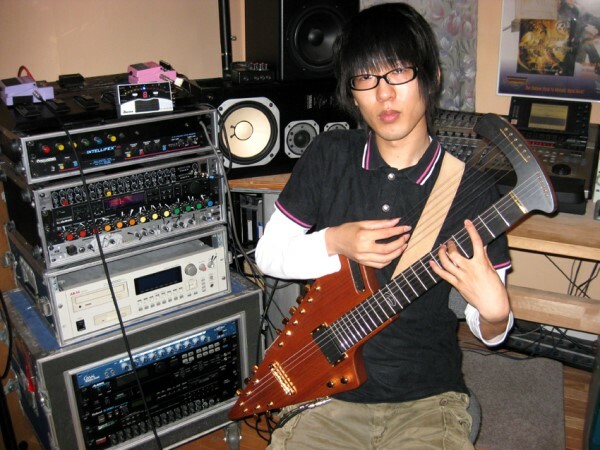 Ryuichi is originally a keyboardist, at home with using the latest technology to compose digital soundscapes. 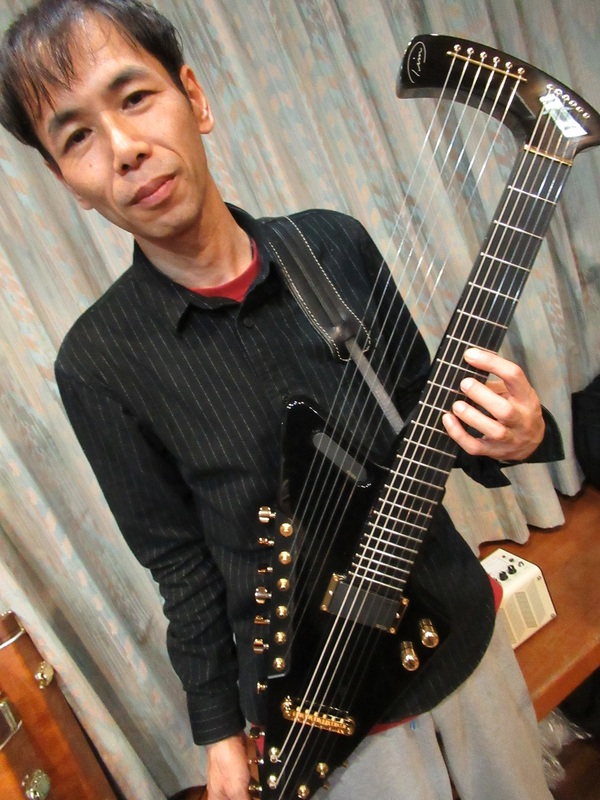 Ryuichi and Derek Dallenger (see below) are our first players to own two Tim Donahue Harp Guitars. 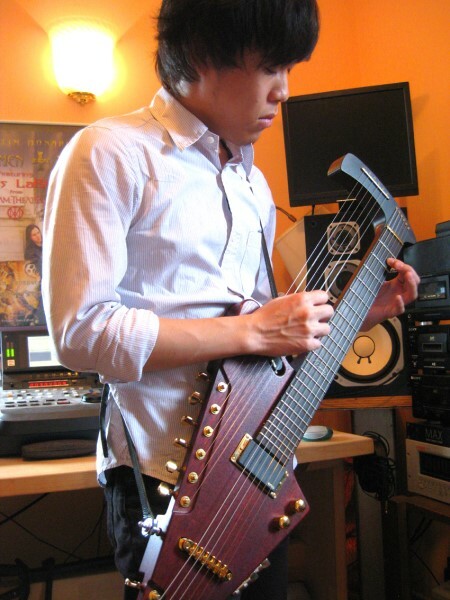 Without prior guitar playing experience but strong keyboard ability, Ryuichi has quickly grasped the independent two-handed playing technique of the TD Signature Harp Guitar. We look forward to hearing more soon from this promising young player. in the newest color option, Green-Oil finish. Thanks to Jahloon for his input on this finish! Jahloon's fantastic website is here. 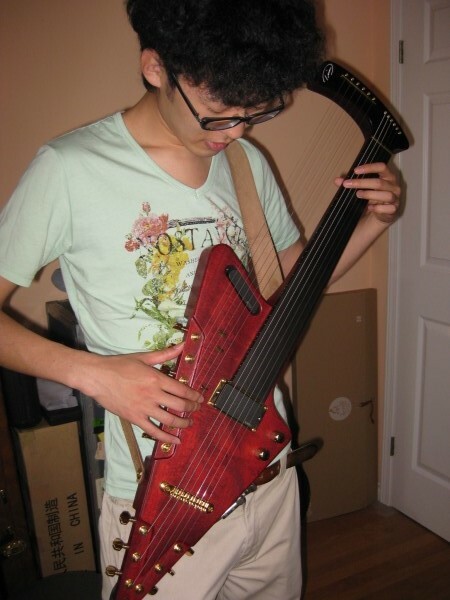 For the past 2 years, Takumi has aggressively studied in preparation for attending Berklee College of Music. He is an expert sound producer and knows the music business well. But his rapid progress in playing everything from rock to jazz is truly astounding. 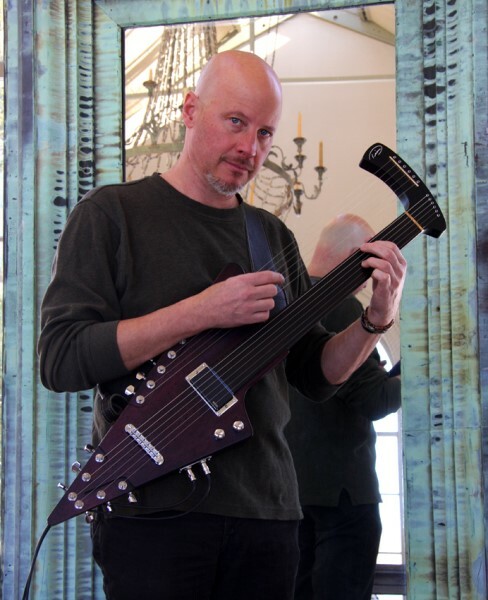 To open his musical world even further, the beautiful Wine Red-oil finish Tim Donahue Signature Harp Guitar pictured below is the vehicle for him! 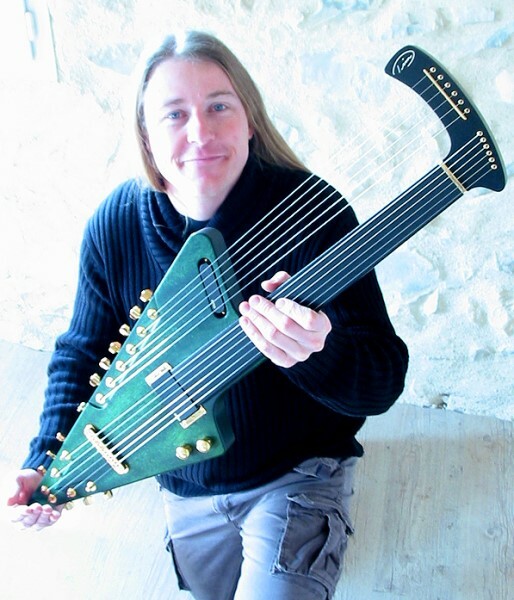 Christophe is an excellent fretless guitarist who is well known within the fretless guitar community. 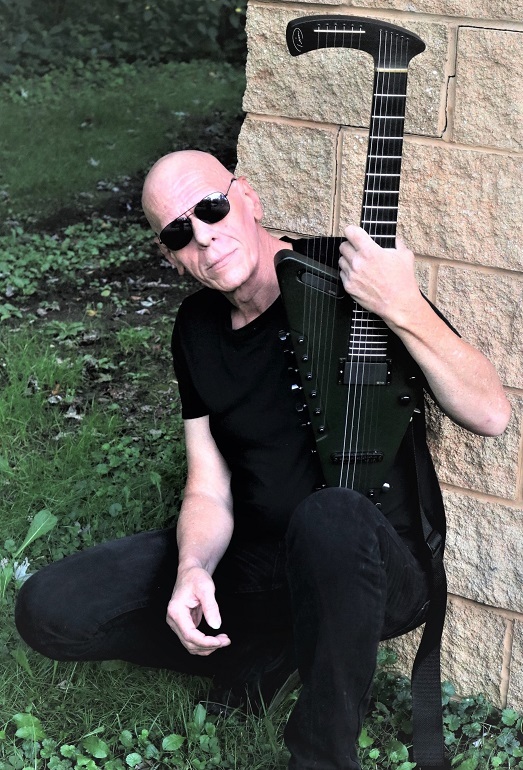 His tasteful sense of melody balanced with heavy rock influences are the trademarks of his guitar playing and composition. 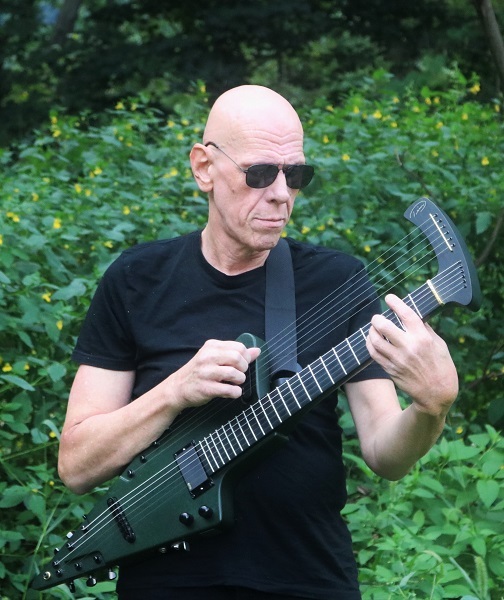 Christophe is the proud owner of the fretless Green Oil Tim Donahue Harp Guitar pictured, the first to feature our new fret lines option. 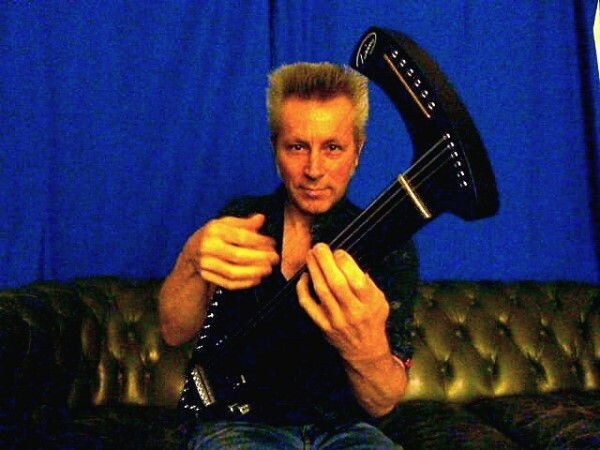 Christophe also plays a one-of-a-kind Natural Mahogany fretless TDHG. Thank You so much Christophe! 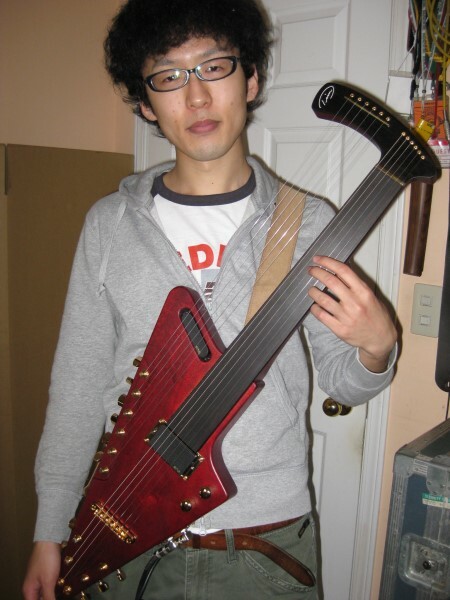 who plays and builds his own instruments. 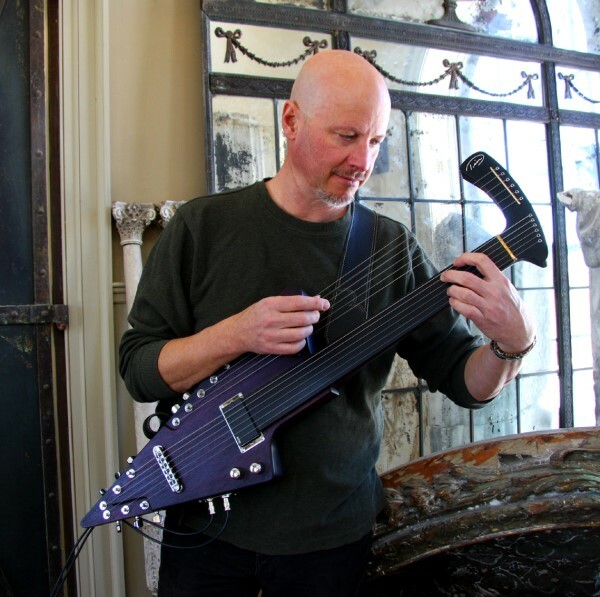 We are very happy that Eric has chosen a Tim Donahue Signature Purple Oil Fretless Harp Guitar as his next axe. Check Eric's work out here and here. 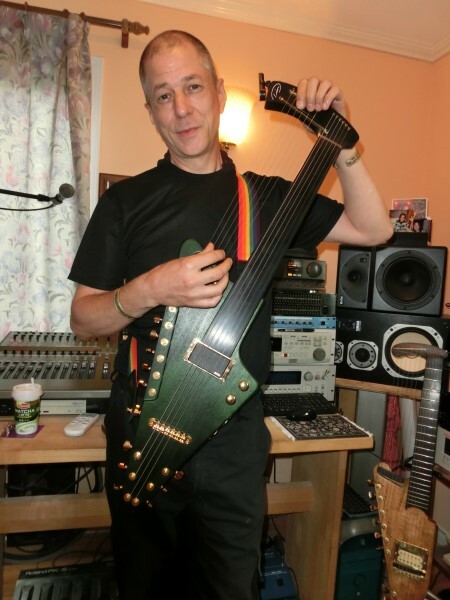 Very best of luck to Eric and we look forward to hearing more inspiring music from him soon! Nancy is a talented & seasoned professional recording artist who is just as comfortable in the studio as she is on the concert stage. Her heartfelt guitar work & vocals can be heard on many albums and she appears regularly at venues around the USA and Europe. 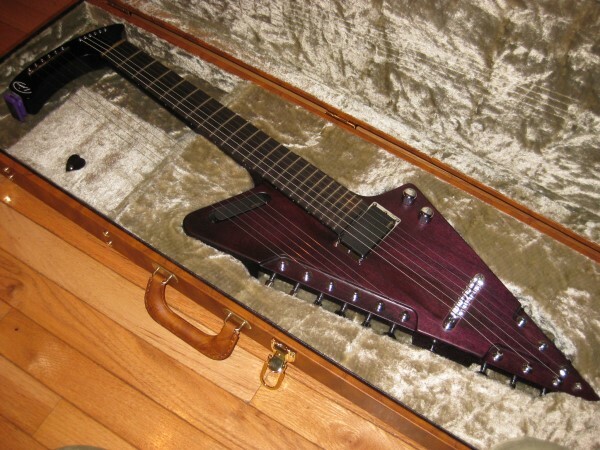 We are proud that Nancy has added a TD Wine Red 6/6 Harp Guitar to her collection of instruments, and look forward to working with her soon! Learn more about Nancy's work here. 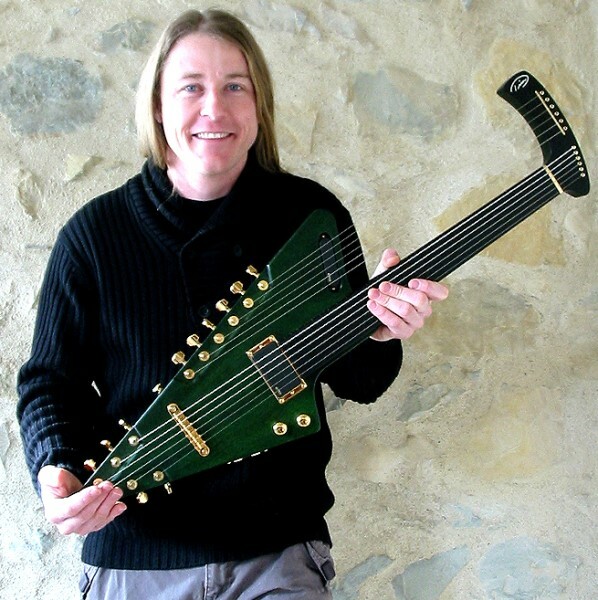 Derek is a longtime Stick expert who is as comfortable with playing familiar tunes as he is his own compositions. Whether performing sensitive ballads or rockin' out, Derek's style is like a breath of fresh air. 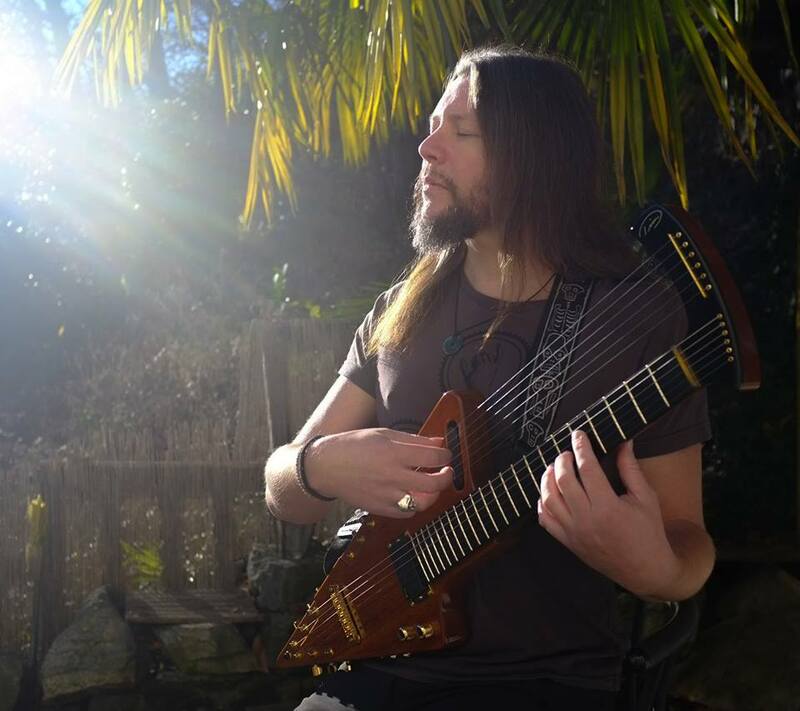 Derek first added a Green Oil fretless TD Model to his fleet of instruments and has now added a beautiful high-gloss finish natural Fretted Model to his arsenal! 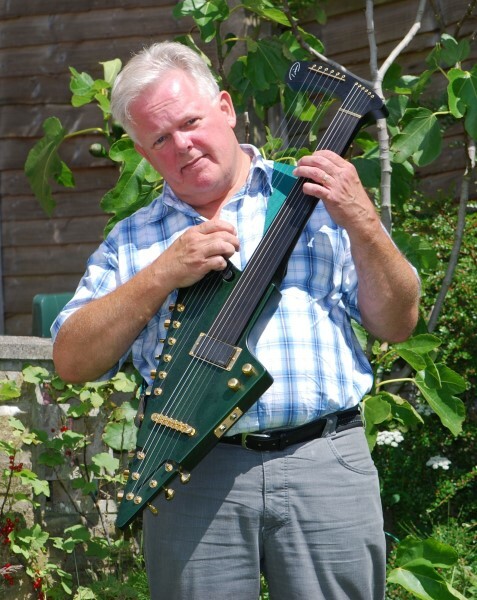 We thank you Derek for your passion and belief in our instruments. We very much look forward to hearing some new and exciting music from him. Check him out at www.derekdallenger.com Congratulations Derek! Rick is our first player from Texas, USA. We await your pics Rick! Jeffrey is our first player from Ohio, USA. We await your pics Jeffrey! 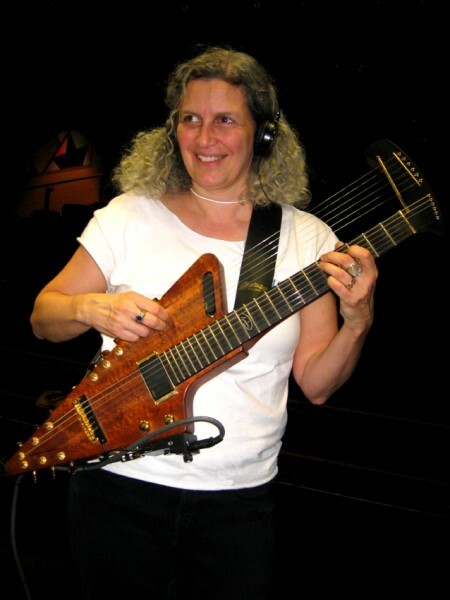 on her one-of-a-kind fretless harp guitar. Pictures coming soon! 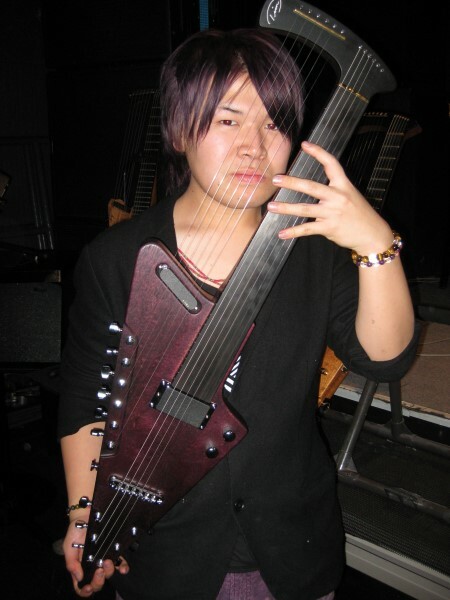 Yarino is an accomplished jazz/rock guitarist who owns the first Purple Oil Fretted Model to be produced. 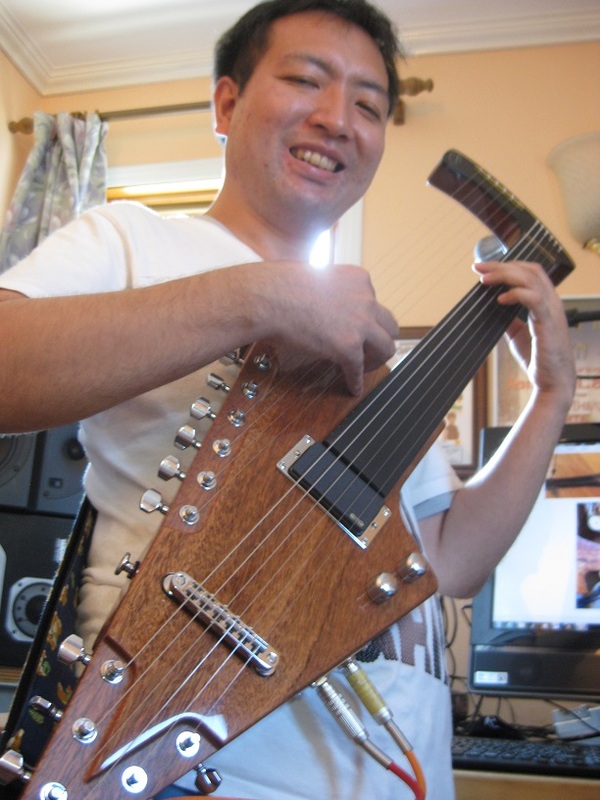 Another accomplished jazz guitarist/songwriter, Tomoyuki owns our first Green Oil Fretted Model to be produced. 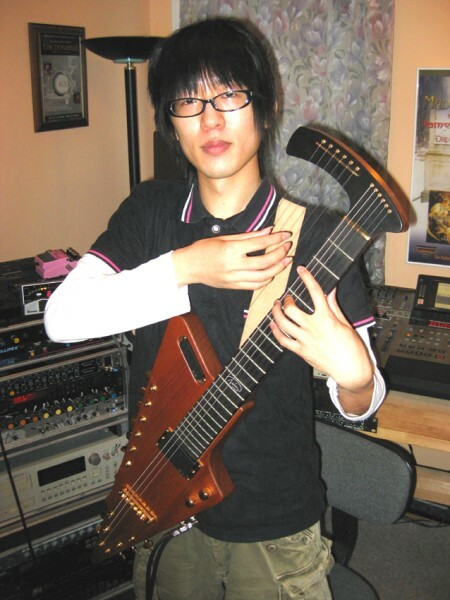 An accomplished jazz guitarist and longtime student of Tim's, Masato is always reaching for new musical heights. 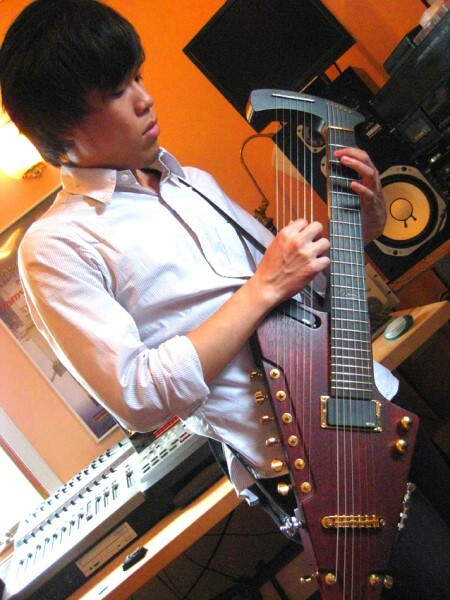 It was Masato's enthusiasm that inspired production of the Tim Donahue Signature Harp Guitar. 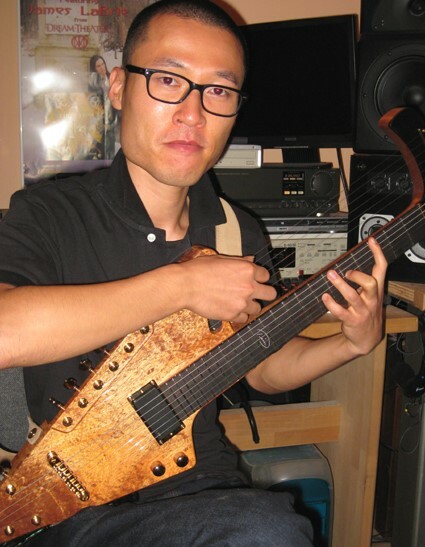 Masato now plays a beautifully flamed natural finish model, with DR. HOOK installed. 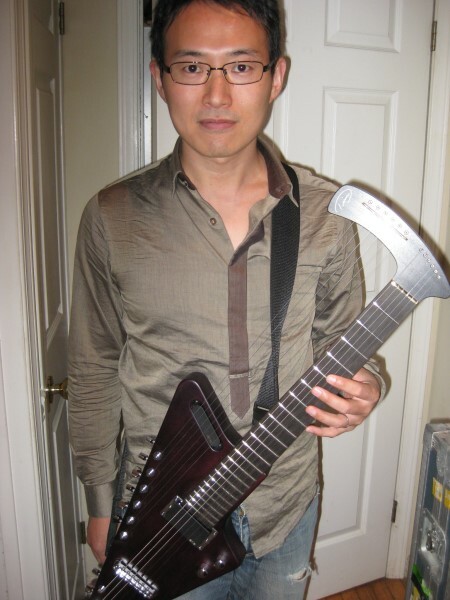 A longtime guitarist, John is the proud owner of the only TDHG ever made with black hardware. 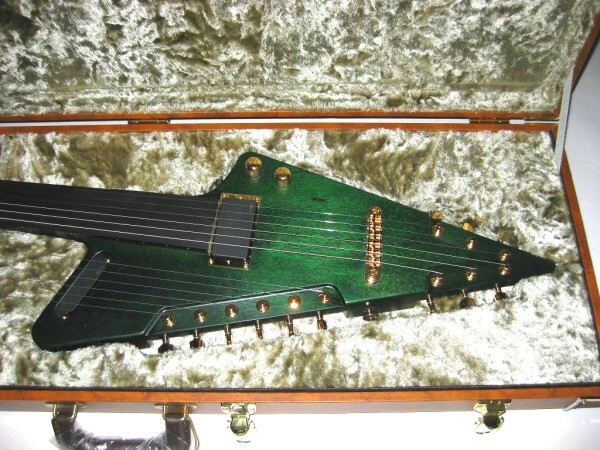 John recieved his stunning Green Satin finish TDHG in July 2018 after patiently waiting for this custom instrument to be completed. Thanks so much John and Congratulations! 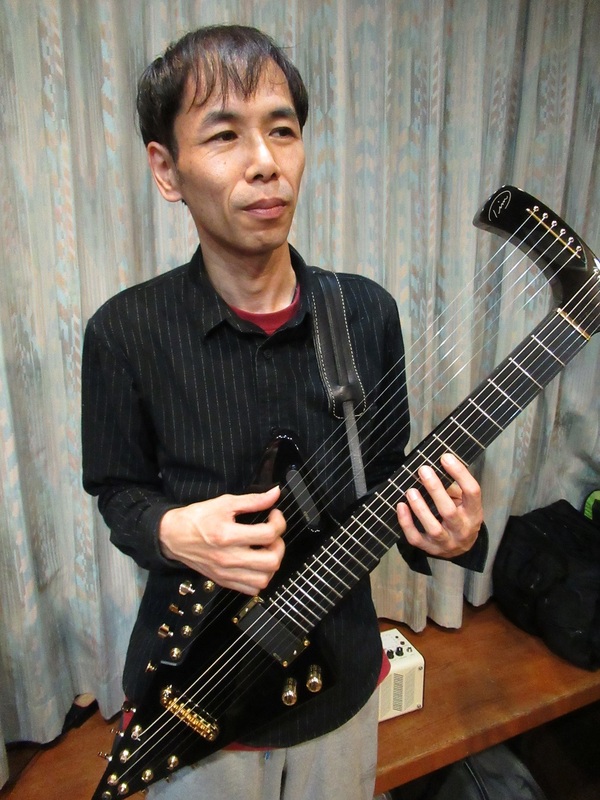 Congratulations to Tomoyuki for recieving his 2nd TD Harp Guitar, a beautiful High-Gloss fretless model that compliments his Green Oil fretted model (scroll down this page) nicely. Thank you Tomoyuki! 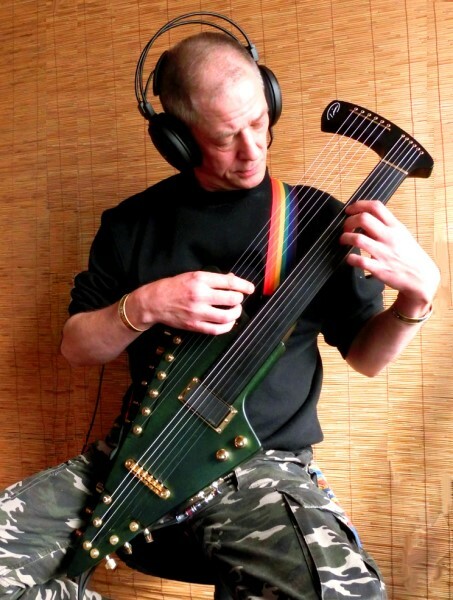 2-hand tapping technique. 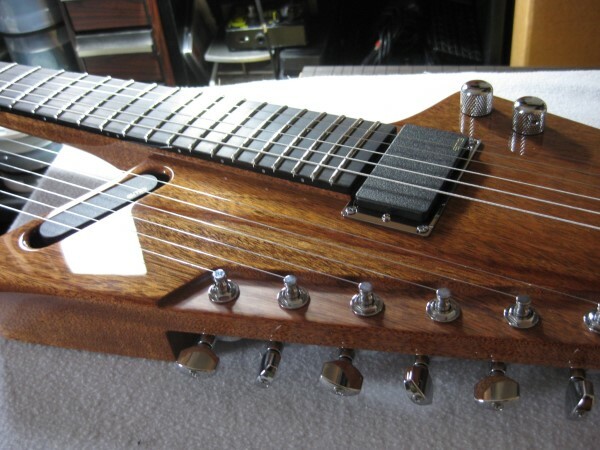 His TDHG is the only fretted model ever produced with a flat fingerboard, a custom feature just for him. 2-hand technique, we look forward to more new music from from him soon. Congratulations Jan! 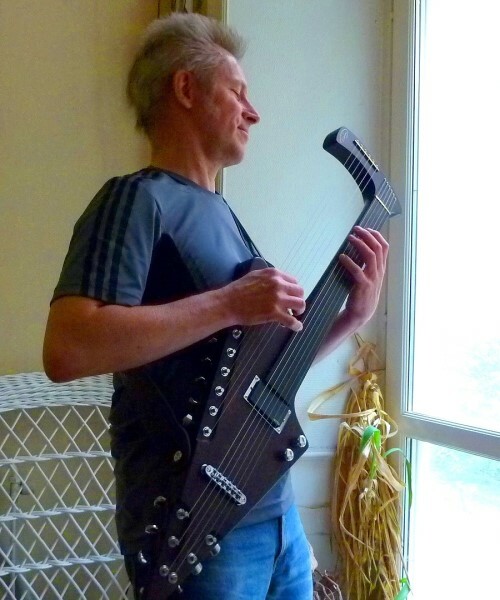 and is amazingly enough, already comfortable with the 2-handed HG technique employed on the Tim Donahue Harp Guitar.